Kavita Oberoi revealed her incredible story and provided attendees with the advice and practical guidance required to succeed in business. 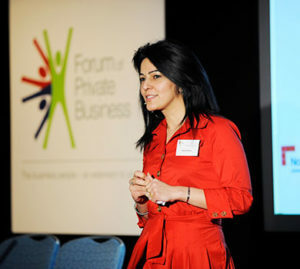 The free business support event, organised by the Forum of Private Business, offered practical workshops, a question and answer session, as well as an ideal networking opportunity. “Our event went really well and Kavita was the perfect choice as speaker. “What a lovely lady and what an interesting story she has to tell.